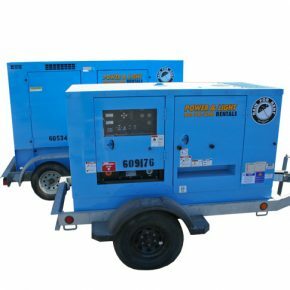 Rain for Rent’s fleet of diesel powered portable generators keep your project hours open for business. Complete with a trailer mount and sound-attenuated package, they offer a self-contained fuel system. Footprint 10'4" x 4'6" x 4'4"
Footprint 12'6" x 5'6" x 6'6"
Footprint 11'8" x 6'4"x 4'6"